I am supposed to write about Christmas, am I not? 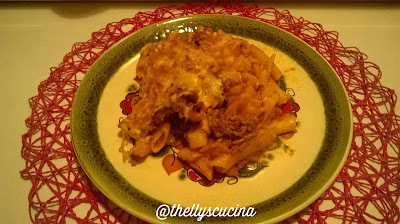 About how it is celebrated all around the world but as I have already written the Christmas tradition in Germany, so I just have to write about the food that I might be going to make for the Holy Eve celebration. 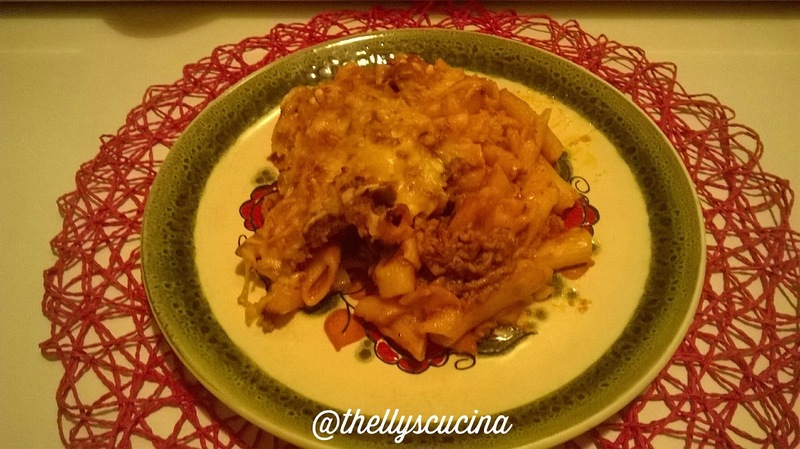 Baked Penne pasta with mincemeat sauce. Baking tin full of Penne with Mincemeat sauce with grated cheese topping. 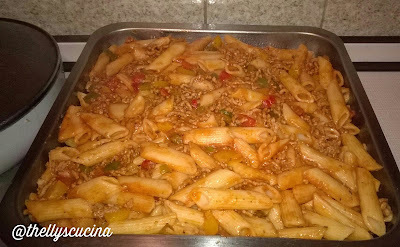 Cook the Penne pasta by following the cooking procedure of the package. Usually, it is cook for 8 minutes or al dente. Drain and set aside. Heat a wok or a frying pan over a medium heat. Add the olive oil. Saute the garlic, onion and skinless tomatoes. Stir well. Then add the mincemeat and saute this until golden brown. Then add the bell peppers and mix them well with the mincemeat mixture. 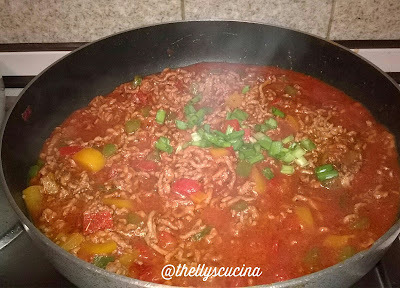 Add the tomato puree to the pan. Let it boil. Then season with the dried pizza spices, salt and pepper. You can add spring onion. Add chili if you want this food hot. Taste the mincemeat sauce to your liking. 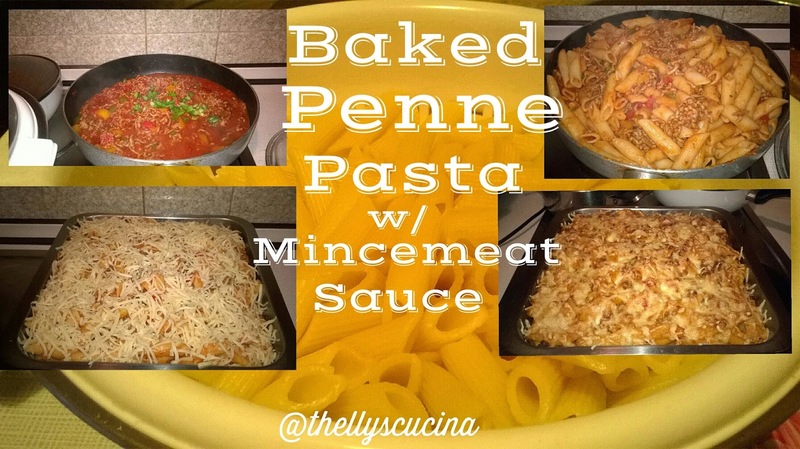 Put off the heat and add the drained penne to the frying pan. Mix the food well. Meanwhile, heat the oven to 200°C and brush the baking tin with olive oil. 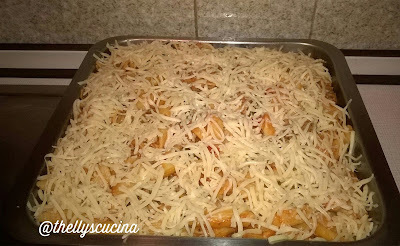 Put the pasta mixture in the baking tin. 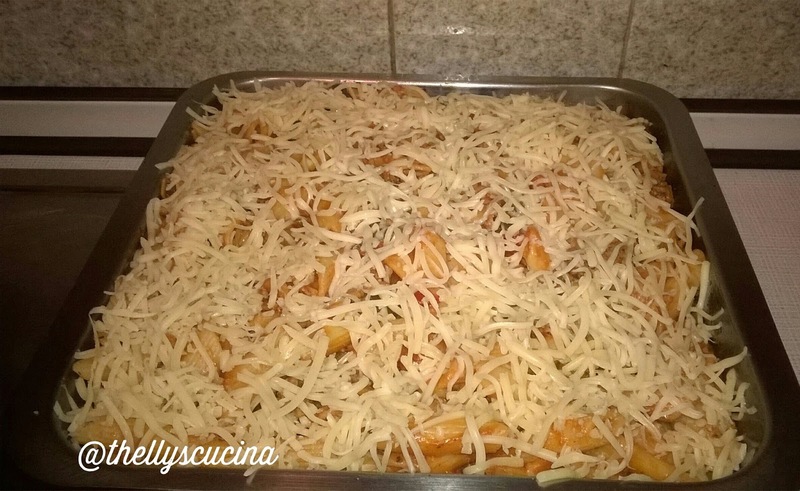 Then put the grated cheese on top of it. Bake in the preheated oven for ca. 10 minutes or until the cheese turned golden brown. This recipe serves for 5 to 6 persons. I am usually cooking from scratch which means I cook for what I have at home. 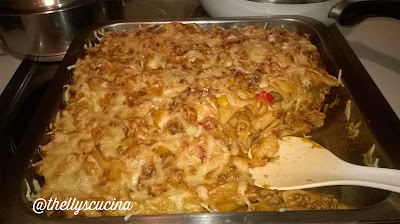 I have baked pasta not only with mincemeat but also with bacon slices, corned beef and tuna flakes. They are all yummy although with different taste. So you need to be creative. 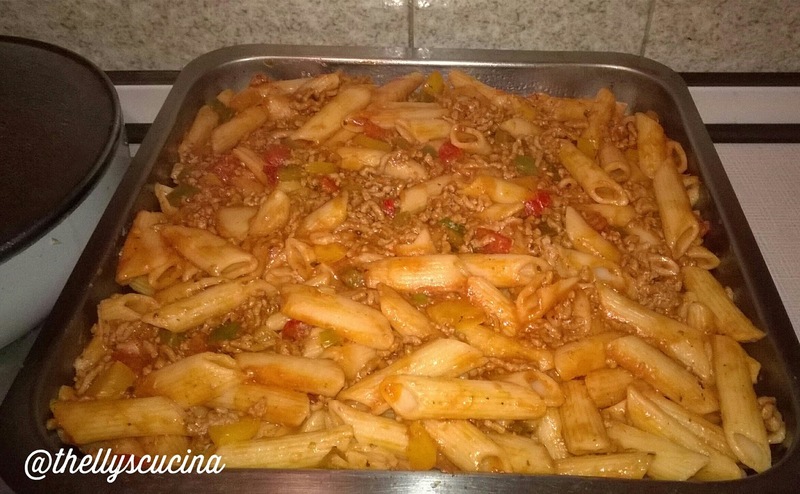 If you don´t have mincemeat at home, try other meat and if you don´t have penne, why not try cooking this recipe with spaghetti? Well, it´s up to you. Enjoy! By the way, this pasta is good not only for my Christmas celebration but for yours, too. You can make this a day before and bake it a few minutes before you start your dinner. Thanks for visiting my blog. 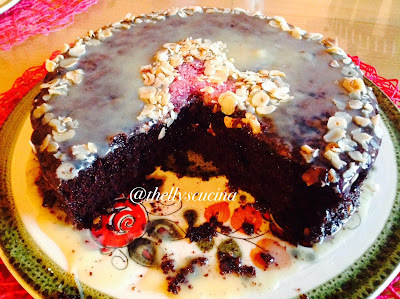 If you want to check more of my recipes, just visitHubpages and @thellyscucinainternational.